One of the fastest growing segments of the automotive scene is vintage Japanese cars. When I first started introducing people to the notion of a Japanese classic on behalf of Japanese Nostalgic Car Magazine, I got nothing but looks of confusion. So, let’s begin with a brief history. Like many parts of the world in the early 1900s, Japan had its share of tinkerers, experimenting with all sorts of engines — steam, electric, and gasoline. For the most part, these resembled wooden horse carriages but could move on their own power at a pace not much faster than walking. 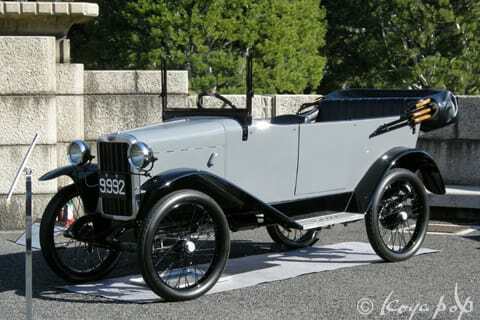 The first internal combustion car produced in Japan was the 1907 Takuri, but only 10 were built before the company folded. That was the fate for many Japanese automotive startups in the early 20th century. The reason was that mass-produced Chevys and Fords were flooding into the nascent market and the coach-built Japanese cars couldn’t compete with the imports. Names you might recognize from that era include Daihatsu (1907), Isuzu (1910), Mitsubishi (1917) and DAT (1914), which later became Datsun. The primary reason for cars’ lack of success, however, was that Japan was still a poor nation and the average citizen couldn’t afford even the cheapest forms of transportation. The post-war era was when the modern Japanese automotive industry developed. In the pre-Internet days, most Americans didn’t hear of Japanese cars until Toyota (which began auto manufacture in 1937) established a US branch in 1957 and began importing Toyopet Crowns and Land Cruisers. Nissan followed in 1960, but all of these early cars were built primarily for Japan’s dirt roads. American consumers found them completely unsuited to our vast network of highways. They were slow and truckish, and we shunned them like the plague. Back in Japan, though, the rate of modernization was progressing at a blistering pace. Engineers went back to the drawing board and began working on the next generation of cars that would become the classics that are now fueling the vintage Japanese movement. The first Japanese cars that most Americans will remember are the 1963 Datsun Sports Roadster and 1965 Toyota Corona. Unlike their predecessors, these were fun to drive, economical, and reliable. The Japanese automakers had gone back to the drawing board and designed cars for Western tastes. It also helped that Japan was becoming more like the US, with its first expressways open for business in the mid-60s. Datsun 240z (foreground), and Nissan 370z. By 1970, models familiar to us today like the Datsun 240Z, Toyota Celica, Toyota Corolla, and Mazda rotaries were establishing a strong following. The 1973 oil crisis only catapulted these fuel-efficient cars higher into sales records.The past couple of decades saw rapid growth in the collectiblity of 60s muscle cars. Now, I believe it’s time for Datsuns and Toyotas to shine! In future articles, I will be showcasing some landmark models and trends in this expanding segment. Thanks for following along! Japanese Nostalgic Car (JNC) is A publication for collectors, enthusiasts and drivers of vintage Japanese automobiles. Their goal is to elevate awareness of old Japanese cars, educate people about Japanese car history, and attract more individuals to the hobby. JNC are die-hard aficionados of all things automotive, from chrome-laden Detroit classics to carbon-fibered compacts... but in the vast culture of cars they noticed that Japanese autos of the old school variety were often overlooked. After a lifetime poring over old brochures, magazine articles and poorly translated Japanese, they realized a venue to see, discuss and share the cars they love was long overdue. JNC is truly a labor of love. As much of a J-tin nerd as I am turning into, I still know so little about pre-war Japanese cars. Thanks for taking the time to send us back to school Ben! I look forward to learning more from you. same here. would love to see and learn more about the history of the cars i love. Always fun for a revisit down history’s path. Nice and concise which is what I like. I is good to see some attention paid to these Japanese performance cars. Older, japanese motorcycles too, are starting to become really collectable as well. Look forward to reading more about older japanese cars. First time I’ve seen those turn-of-the-century models. Very cool!